As you know, I’m intrigued by the connections between crime fiction, place and people (or characters, to be more specific). There is now a broad and extending idea that crime fiction is among the largest selling genre forms for a reason – it provides insights into the general human condition wherever that is found. And that adds to the other modern mantra on the form, that it is now more about the people than the puzzle. To understand that, just juxtapose Agatha Christie with Denise Mina or Megan Abbott and you’ll spot the difference. Of course, there are always exceptions. Among my favourite crime writers is Michael Innes, the pen name for J.I.M. Stewart, a Scot who was Professor of English at Adelaide from 1936 to 1946, during which time he began the Sir John Appleby series. Appleby himself developed considerably over the fifty years that Stewart wrote the books, and so did the other characters and crises. 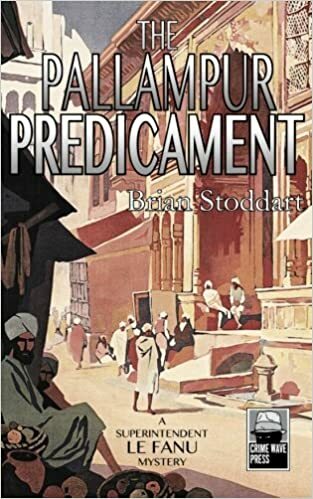 That befitted such an acute observer as Stewart whose A Staircase In Surrey quintet (written in the 1970s) remains one of the great campus novel series. But as always, that exception goes to prove the general rule. What may also be taken from Stewart/Innes is the idea of place and milieu. For him it was the cloistered university and the largely decent upper class set, a sort of early version of Midsomer Murders. 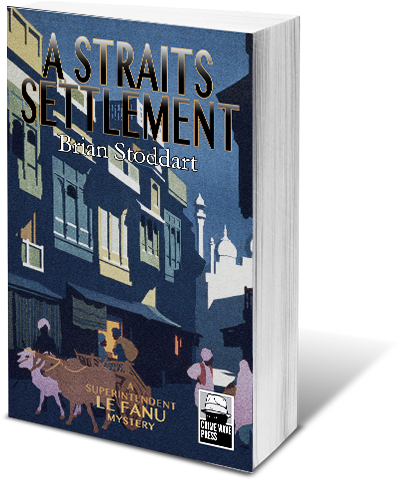 Because of Christie and the rest, that social strata was for a long time the go-to site for the crime novel, and has been extended dramatically only in relatively recent times. Among the many reasons the rise of Tartan Noir has been so important is precisely its break from that tradition, starting with Willie McIlvanney’s works. Across the Atlantic, it was very different from an earlier point, another indicator of the intricate relationship between the specific crime fiction form and the culture that produces it. Dashiell Hammett had introduced his hard boiled Sam Spade by the early 1930s, a clear reflection of his own life as a Pinkerton that helped him pioneer the life on the street genre. There is a clear line from there to the wonderful work of Michael Connolly whose Bosch is in so many ways Spade’s direct descendant. I have been thinking about all this again of late having time in Sydney, Perth and Hong Kong as well as New Zealand. That has been aggravated by reading and viewing choices that always raise the question about what works and why. And for me that always involves place and culture, but it also involves believability. Why is it, for example, that these days anything set in Scandinavia is automatically regarded as a compulsory read or view? Sweden has just 9.9 million people, Denmark 5.7 million, Finland 5.5 million, Norway 5.3 million and, spectacularly, Iceland only 337,000 inhabitants. That last is spectacular because Iceland Noir is all the rage. The number of published writers per 100 people there must be very high. And the impact of the crime writers far outweighs these figures: think Stig Larsson, Jo Nesbo, Yrsa Siguroardottir and all the rest. By comparison, New Zealand also has many writers among the 4.8 million inhabitants that put it on a rough par with the Scandinavian countries. Over sixty entries turned up for the current Ngaio Marsh Award round. Yet with all due deference to Paul Cleave, no Kiwi comes close to having the impact of any Scandinavian writer. Given similar landscapes and all that, why should that be so? One funny clue might help start the analysis. At Crimefest a few years ago the inimitable Simon Brett delivered an after dinner speech that was a spoof on a Scandi krimi. “He brooded. He brooded some more. He brooded for a long time.” It was an affectionate homage to Henning Mankell and Wallander, but also food for thought. Put simply, perhaps simplistically, Scandinavian writers find a surprisingly large number of intense characters in among those small population numbers. This comes out somewhat in the Jo Nesbo-inspired television series Occupied where Norway is taken over by Russia, sparking all the usual questions about collaboration or resistance, challenged relationships, intrigue and double dealing. And in this case, the role of the European Union provides a marvellous additional source for both setting and story. It would be difficult to do that in a story that had New Zealand occupied by Australia. Besides, New Zealanders will tell you they don’t “brood”. The Occupied storyline is marvellously intricate and the second season probably as good as the first, although the heroic Prime Minister turned resistance leader has become somewhat irritating both personally and professionally. I am watching that show having binged Harlan Coben’s Safe season that somehow did not impress. The combinations provide a clue. This joint English-French production for Netflix is set in an English gated community and masterminded by Coben, the quintessential American writer. A widowed surgeon still bothered by his behaviour during his wife’s last days now struggles to deal with his young daughters and is in a clandestine relationship with a neighbour who just happens to be the local detective sergeant. One of his daughters disappears after her boyfriend turns up dead in a swimming pool at an unauthorised teenage party that gets out of control. The detective sergeant handles the case but the surgeon runs his own alternate investigation, and both turn up a myriad of back stories that may or may not explain the events. Without giving anything away, the final plot turn challenges believability. That last point is why Safe did not work for me. The gated community does not come across so well in the British setting, and while its inhabitants are admirably modern Brit in the cross-cultural sense, it is not evident how some of them end up living in what is obviously an expensive place. The surgeon, yes, but the loner hoarder who lives next door, hardly. And the tone gets stuck between the serious and the comic, with the actions of the mixed-marriage family on whose property the body turns up becoming pure slapstick. Safe lacks a coherent cultural core, Occupied carries that strongly. The result is powerful: the Safe storyline is inherently more believable that that in Occupied (party goes wrong versus Russia occupies Norway) yet structure and grounding make it far less believable. So if the Scandi settings are so believable, both in book and on screen, why is it that places like New Zealand and Australia are a harder sell leaving aside obvious standouts like Jane Harper’s justifiably triumphant The Dry? In part it is a cultural thing: it is far easier to be impressed by somewhere else than by your own settings. Paul Cleave makes Christchurch seem a dark and complicated place, but you’d generally have a hard time convincing other Kiwis that was so. The sadly now late Peter Temple made Melbourne seem internationally nuanced, whereas Peter Corris’ Cliff Hardy books set in Sydney started with Hammett but morphed quickly into an attractively disdainful and diffident riff. In one sense, like New York, LA, London and Edinburgh (thanks to Rankin) the Scandi sites have become believable as crime sites. So if you write about them you’re off to a fast start with a reader. In recent years those sites have expanded. Think Chan Ho-kei’s Hong Kong; Fred Vargas’ Paris; Ovidia Yu’s Singapore; Ankush Saikia’s Delhi; Jean-Claude Izzo’s Marseilles and Seicho Matsumoto’s Tokyo. It would be a far tougher sell to start with, say, my home town of Ashburton even though in recent years it has had an unsolved murder and an office shooting carried out by a disgruntled client. While most of us would think that small place settings eliminate complexity (because everyone knows everyone else), the Scandinavians have made that work, largely by way of the characters themselves. That comes through in another Norwegian show, Borderliner. A big town detective goes on forced leave having accused a senior officer of corruption. Back in the small town where his brother is also a cop and his father the retired sheriff, the visiting detective is pressed back into service by another officer come from the outside to investigate an apparent suicide. The show floats constantly on the margins of the incredible, but survives by stressing the differences in people and their motivations. That could work with Ashburton. As I contemplate a substantive edit on the new Le Fanu, then, I think a lot about this dimension. 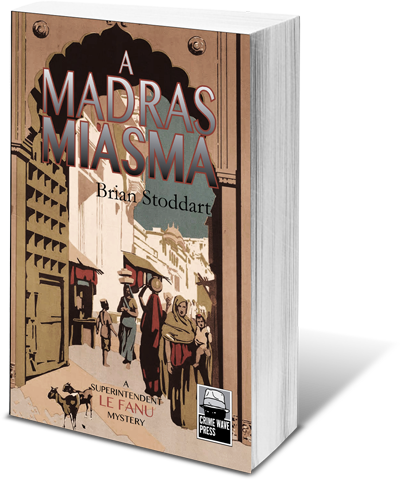 The setting in 1920s colonial Madras (then one of the British Empire’s largest cities) is a good start for most readers, but the characters still need to ring real in that setting and in their behaviours. Therein lies one of the essential writing challenges.